The last week of September 2015, a first item of my Dream TO-DO List was checked. 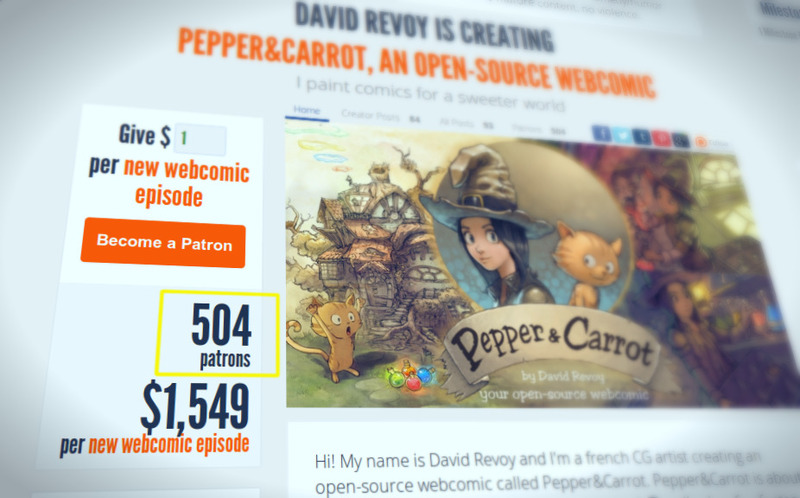 Pepper&Carrot has now over 500 supporters on Patreon ! License: CC-BY David Revoy, www.davidrevoy.com, 3 october 2015 . I happen to have a red cat but she's called Chilli. And I happen to have a cat called Pepper. She's (mostly) black but she never cosplayed.